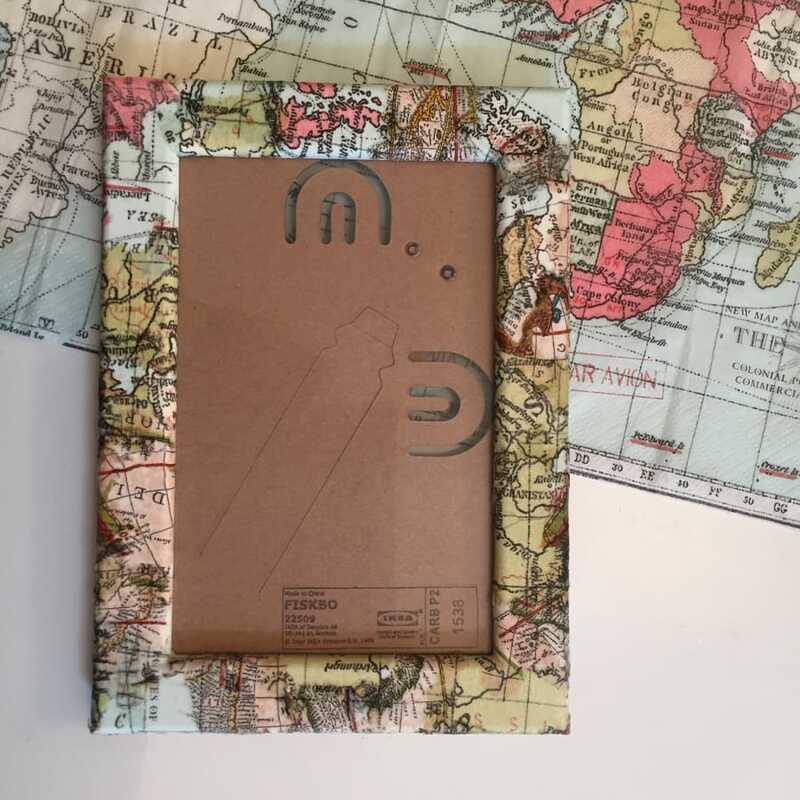 In this 2 hour workshop you will transform a plain photo frame into your unique creation through decoupage. 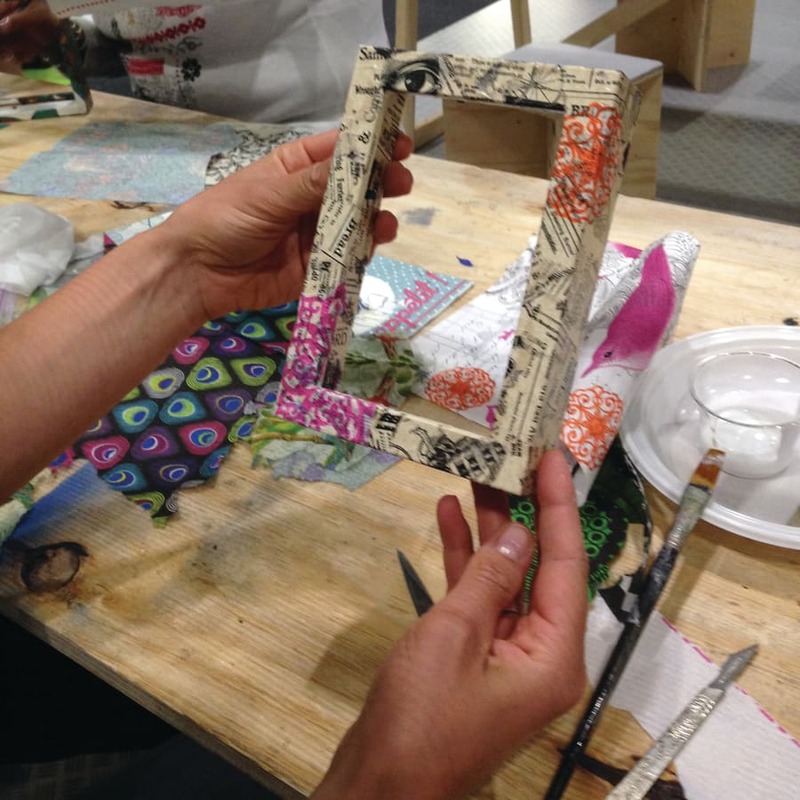 Want to find out more about decoupage before committing to a longer workshop? 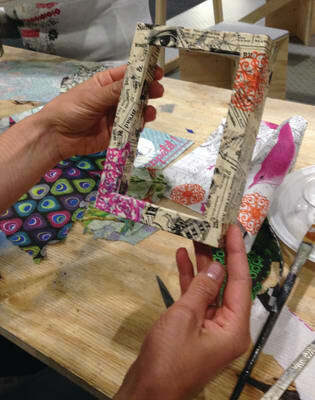 Learn to embellish a photo frame (supplied) in just a couple of hours. Once you've acquired the basic steps of the technique, you may want to book more detailed classes where you can decoupage a serving tray, a pair of shoes or a piece of furniture. 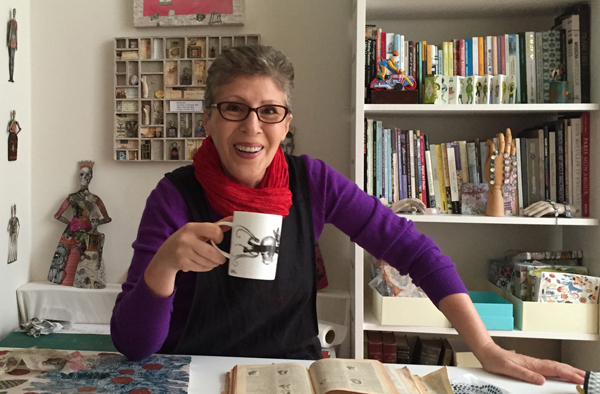 During this two-hour workshop, you will select papers from Gabriela's extensive collection to transform a plain photo frame into your unique creation through decoupage. She will guide you through the design process and show you all the tricks involved in applying very thin paper to a flat surface. These sessions are held in small groups to allow for individual tuition, and take place in my Camberwell studio. Your lovely photo frame covered in decoupage! Découpage (French for "cutting out") is the art of cutting and pasting cutouts to simulate painting on a wood, metal, or glass surface. There are many variations in technique, but the four basic steps of decoupage generally are cutting out the pictures, arranging them to depict a scene or tell a story, pasting them on a surface, and applying several (sometimes up to 12) thin coats of varnish or lacquer to the pictures.